Our best-selling tall knockarounds with full elastic waist are a great big guy's pant, with an inside drawstring for maximum comfort! 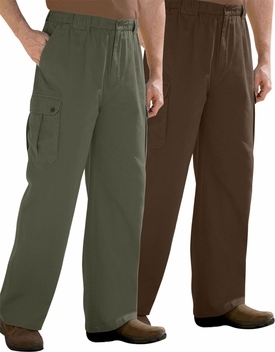 These cargo pants come in a variety of different earth-tone colors so be sure to stock up. Great for everyday casual wear. Fabric: Cotton. Care: Machine wash. Origin: Imported.